Edenville Energy (EDL) announced last week that it has held further meetings with Shandong Electric Power Construction No. 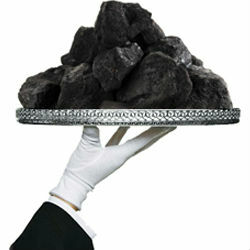 2 Company (SEPCO2) for the development of the Rukwa Coal Power Project in the South West Tanzania. The project is in response to Tanzania’s needs for coal-based power plants as an alternative to hydro-power, in light to the recent and long droughts that have hit the country and resulted in power rationing,. The project’s framework is planned to be developed through a series of meetings between EDL, SEPCO2 and other Government organizations and contractors that will collaborate with background information. A clear understanding of the costs and technical and regulatory parameters associated with the Rukwa Coal Power Project was the main outcome from the first meeting, explained EDL’s CEO, Mr. Rufus Short. The meetings have also strengthened SEPCO2’s strategy to construct the coal-fired power plants in the region, indicated SEPCO2’s Directors. According to the Tanzanian Energy and Water Utilities Regulatory Authority (EWURA) electricity is available to about 18% of the Tanzanian population, with more than 80% supplied in the urban areas. Efforts are being made to increase access to meet the target of 30% by year 2015.